Оксфордский курс "Английский для маркетинга и рекламы" предназначен для маркетинговых и рекламных специалистов, которые должны уверенно и эффективно общаться на английском языке. 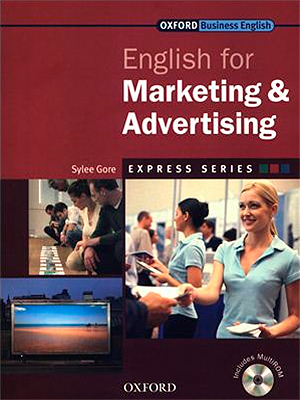 English for Marketing and Advertising is an ideal short course for marketing and advertising professionals who need to communicate confidently and effectively in English. 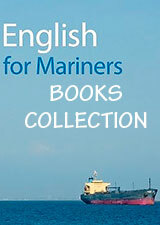 English for Marketing and Advertising is suitable for anyone who works in marketing and advertising. The course covers a range of skills and topics such as talking to clients, discussing advertising campaigns, establishing a marketing plan, and writing a press release. The course addresses all the essential responsibilities of those working in marketing and advertising departments. Students practise relevant vocabulary and speaking skills for tasks such as telephoning, emailing, and giving presentations. The course introduces specialist vocabulary relating to branding, market research, direct marketing, and public relations.